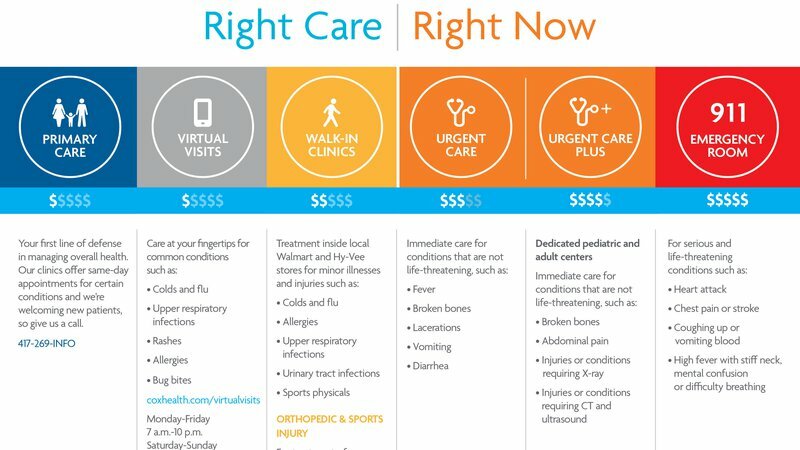 Urgent Care is available when you need care for non-life-threatening illnesses and injuries. CoxHealth Urgent Care in Monett, Missouri, is staffed by highly trained nurse practitioners and support staff. Treatment from CoxHealth Occupational Medicine's physicians for on-the-job injuries is also available at this location through our Virtual Visits online video consultation service.